The Friends’ Institute Building on Moseley Road, Birmingham, has been handed Grade II* listed status. The historic Quaker building, the site of the first international athletics match between England, Ireland and Scotland, has been listed by the Department for Culture, Media and Sport on the advice of English Heritage. Only 5.5 per cent of listed buildings in England are Grade II*, making them particularly important and of more than special interest. One of the largest Quaker buildings in England, The Friends’ Institute was commissioned by Richard Cadbury, son of the chocolate company’s founder, and designed by the noted local architecture practice of Ewan and James Harper, who also designed the Methodist Central Hall on Corporation Street in the city centre. The Friends’ Institute’s 37 classrooms, lecture theatre and assembly hall were used for adult education and social work in the area and reflect the Quakers’ values of education and philanthropy. The building, which opened in 1897, was also the home of the Dolobran Athletic Club and was the venue for the first international athletics match between England, Ireland and Scotland in 1900. The Dolobran Athletic club started in Sparkhill in 1884, but by the end of the century it had grown to have almost 700 members. Its president was Barrow Cadbury, Richard Cadbury’s son, and he moved the club to the Friends’ Institute. It is also thought that the gymnasium was used as a training venue by the British Olympic Teams in 1936. From 1962 to 1979 the Large Hall functioned as a bakery and from 1979 it has been used by the New Testament Church. The plan of the building has been little altered since its opening and many of the fittings and details of the original decoration are still in place. Birmingham City Council Heritage Champion, Coun Philip Davis, said: “Official recognition of the Friends’ Institute as a building of historic value could help the city win external funding to better look after it. 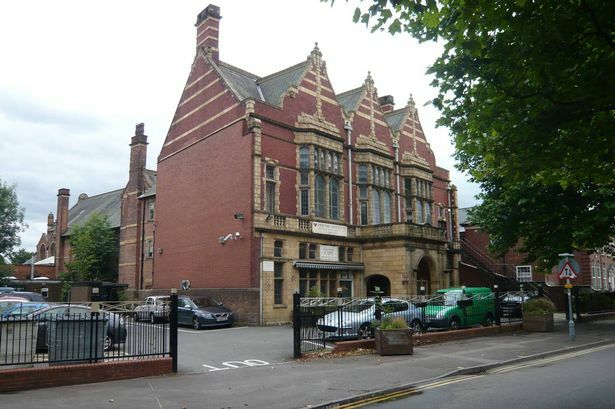 Other Grade II* listed buildings in the area include the College of Art and Moseley Road Swimming Baths and Library.